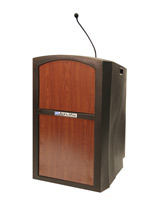 If you’re getting annoyed with equipment rentals for your conferences, events or banquets then order a deluxe floor lectern to be the centerpiece of your presentations. 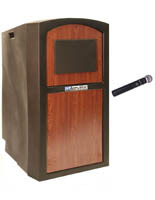 Unlike other outdated podiums, this high quality stand is not only tech-savvy with its sound system including a wireless lapel mic and Bluetooth® capability but durable with a weatherproof shell designed to withstand conditions indoors and out. 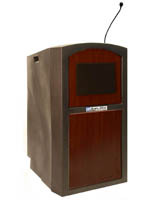 This floor lectern features a flat top shelf allowing you to have a secure space for your laptop or projector to sit upon comfortably. 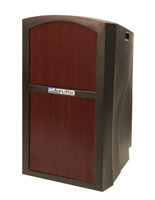 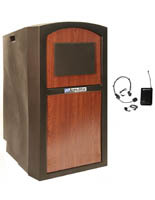 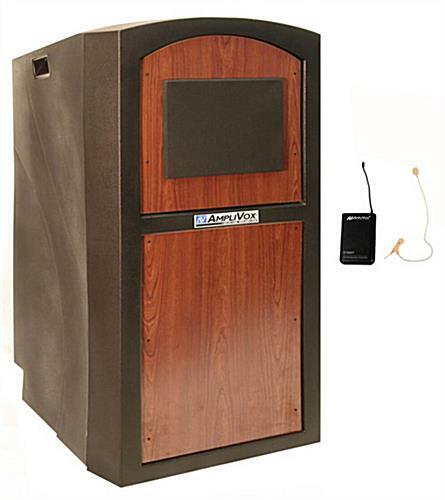 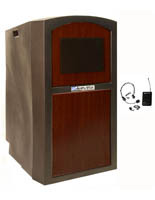 This high quality podium has two built in Jensen design 6” x 8” oval speakers with unmatched audio quality. 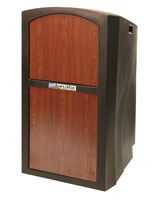 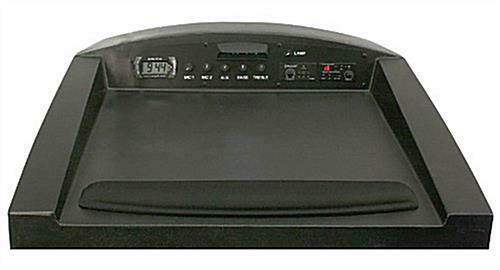 Underneath the lectern’s flat top shelf sits a convenient 11”h x 19”w shelf for storage. 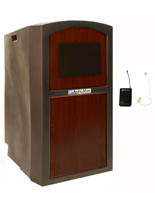 If you were looking for more out of your next presentation purchase, this is a suitable package that is sure to fit your needs and help to keep you away from those expensive equipment rentals. 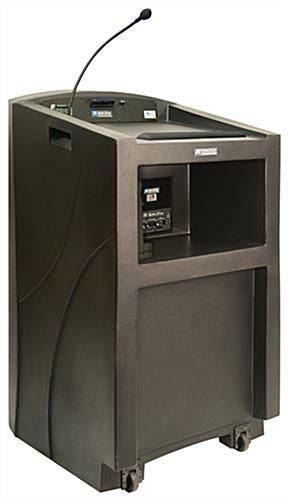 27.0" x 47.0" x 26.0"
19.0" x 11.0" x 11.5"